A recent meta-analysis study that investigated the use of cognitive tests in mild cognitive impairment identified the most sensitive/specialized tests. 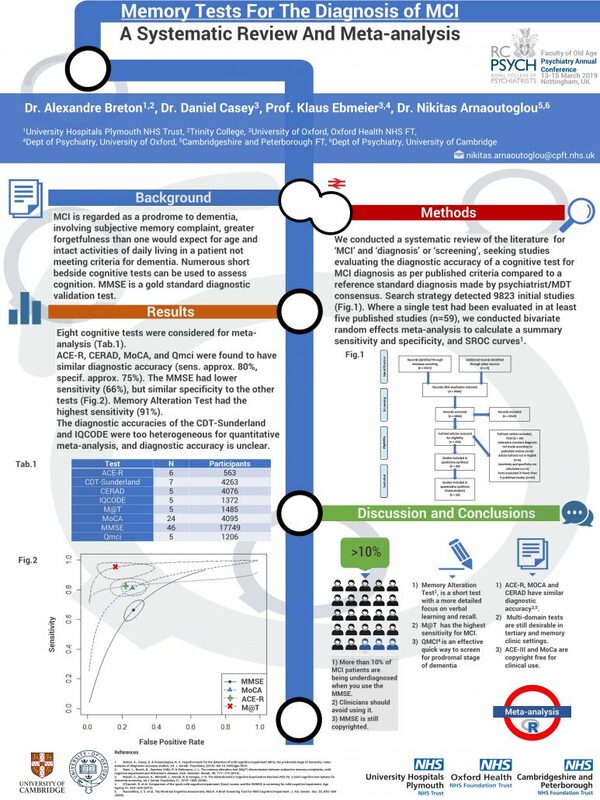 This study performed by Breton Alexandre, Casey Daniel and Arnaoutoglou Nikitas has shown that clinicians should avoid using the Mini-Mental State Examination (MMSE) for the diagnosis of dementia. The suggested primary tests are the MoCA and the ACE-R in a tertiary setting. In addition, the study concluded that a new to the public test named Memory Alteration test is the most sensitive test for the early stages of dementia. The main reason behind this argument is that the well-known MMSE does not properly diagnose about one out of ten patients in the early stages of the disease. 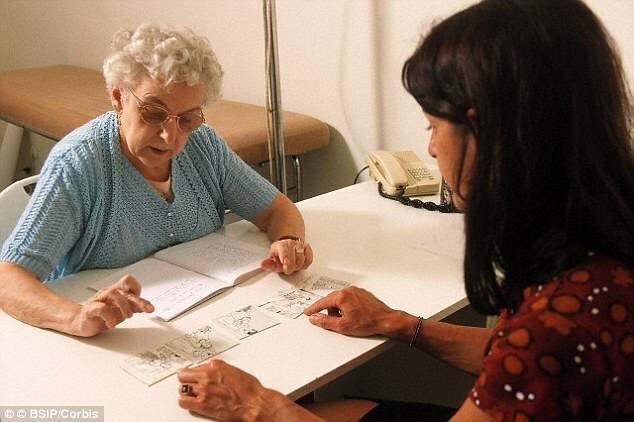 The dementia tests proposed for general practitioners are: MoCA ACE-R or ACE-III (>20 minutes) and the shortest ones Memory Alteration Test (M@T) and QMCI (both under 5 min to perform). This Study was presented at the #RCPsych Annual conference of Faculty of #OldAge #Psychiatry Annual Conference 13-15 March 2019 in Nottingham, UK.